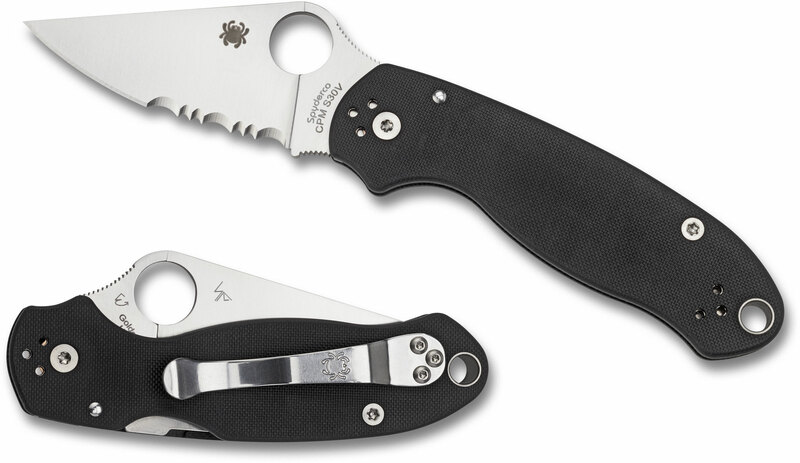 With that said, the Para 3 does faithfully retain all the defining features of the best-selling Paramilitary 2, but in a smaller, even handier package. Its three-inch blade is precision machined from premium CPM-S30V particle metallurgy stainless steel and features a full-flat grind for superior edge geometry and low-friction cutting performance. 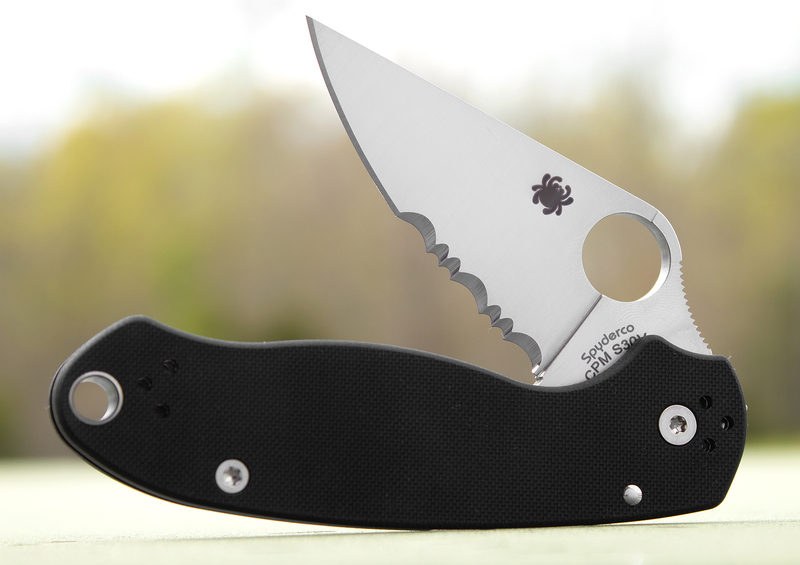 Its oversized Trademark Round Hole proudly announces the knife's pedigree and is easily accessible from either side to allow swift, ambidextrous, one-handed opening. Got this for my wife, I'm going to get another for myself. 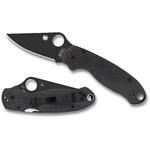 She worked in a warehouse and had a PM2 with a full serrated blade, but it disappeared. She likes the slightly smaller size and the half-&-half blade better on this knife. It came very sharp. The blade is a little stiff right now. Carries nice in the pocket, I don't mind the clip. 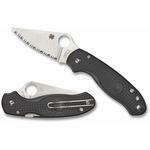 I was looking for a Spyderco EDC with a 3 inch combo blade, having previously found it useful for multiple tasks. I read a lot of reviews, noting issues with the clip and handle length, but was pleased with the knife when it arrived. I switched the clip position to the left side front position (blade deployed), which fits my hand perfectly, and allows a deeper carry. Knife arrived on time, and very sharp. I like the blade shape and it is already being put to good use. I use this knife edc. This is a great knife. 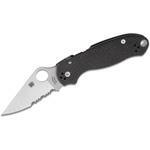 Hey, I wanted to share "Spyderco Para 3 Folding Knife 3 inch S30V Satin Combo Blade, Black G10 Handles (Paramilitary 3)" with you from KnifeCenter.